The Free Shakespeare Company will present “The Merchant of Venice” in Blommel Park two nights in South Park: Thursday, July 19 and Thursday, August 9. Performances begin at 7:00 p.m. Bring folding chairs or blankets. The show is free, but a free-Will offering will be taken. 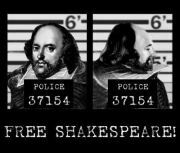 See the Free Shakespeare Facebook page for full schedule. ← It’s PPD Season in South Park Again!